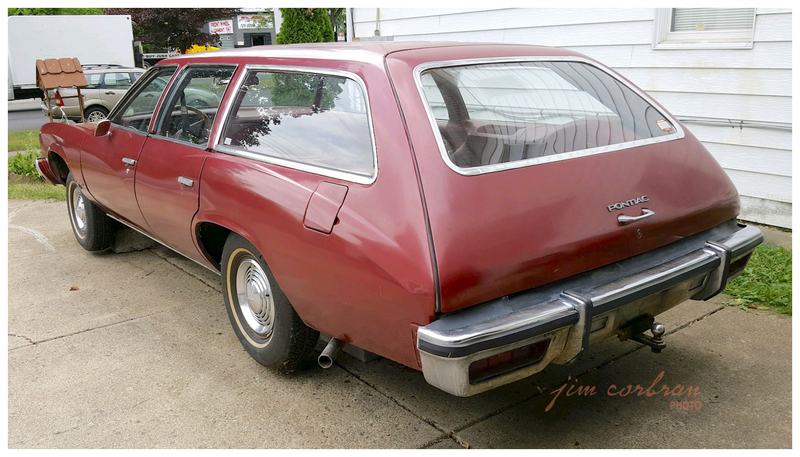 Although this 1973 Pontiac LeMans Safari is presently resting on blocks as it waits for a couple of mechanical issues to be sorted out, it’s in remarkable condition. 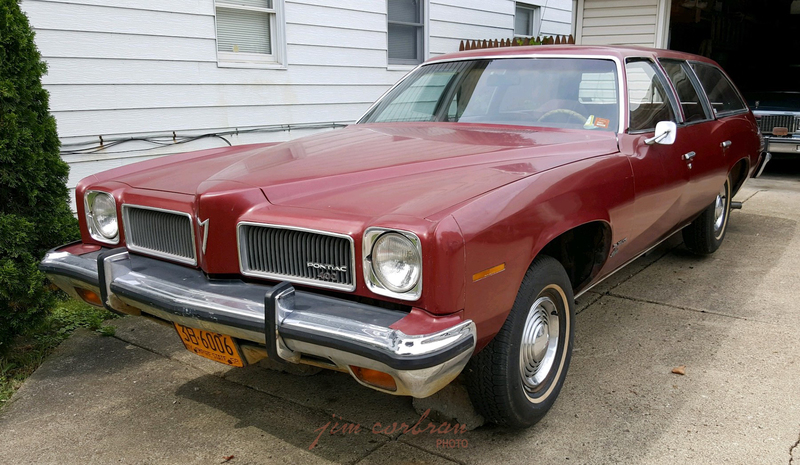 It’s currently owned by Buffalo’s Mark Kramer, but it was bought new at Don Davis Pontiac by Mark’s father, Ed, and has been in the family ever since. A six-passenger model, it has a huge hidden storage compartment under the floor where the optional third row would be; with the back seat folded down it looks long enough to land a small plane back there! Mark tells us that the optional 2-bbl 400 cu.in. V-8 packs a lot of pep; for those in a real hurry, a 4-bbl was available (along with a four-on-the-floor! ), as was a monster 455. 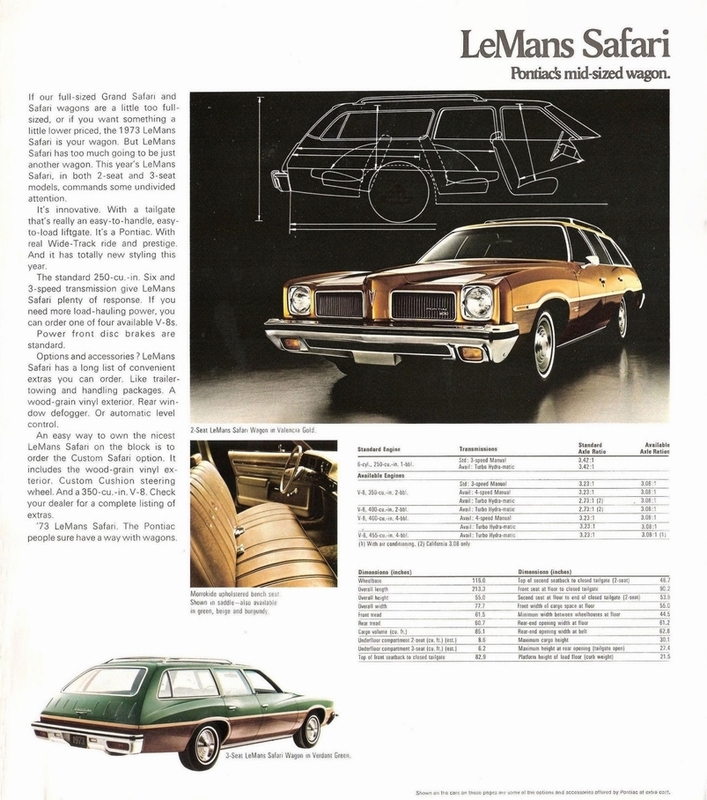 Although I can’t say I was very fond of GM’s colonnade styling when it debuted for 1973, it has slowly become one of my favorites from the “malaise era” of American car design.